With so many options for your next vacation, let ResortsandLodges.com help narrow your search. Whether you're looking to take the next family getaway, a vacation with friends or you’re going solo, the Texas Hill Country has something to offer everyone. Let us tell you about some of the attractions and activities that make this region so enjoyable. 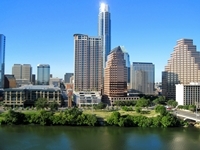 Location and Geography Located in the center and southern portions of Texas, Hill Country stretches over 10,000 square miles, encompassing major metropolitan cities such as Austin and San Antonio. The area is known for tree covered valleys, marked by the cutting of streams and rivers. Gently rolling hills and a favorable year round climate make this a popular destination for tourists from across the globe. You can also observe a unique geological formation called Karst topography during your trip to Hill Country. This natural formation dissolves the soluble ground such as limestone and gypsum leaving caves, caverns and sinkholes. Some of the sinkholes are so deep that they have become aquifers for the local population. Texas Hill Country is home to the second largest granite dome formation in the US, known as Enchanted Rock. Austin The center of the state physically and politically is in Austin. Also known as the “Live Music Capital of the World”, it is the home to a large number of musicians, artists, writers and other creative people. There are over 100 venues to listen to live music. Austin is a magnet for large festivals and events including South by SouthWest, Limits Music Festival, Austin Comedy Festival, Formula One World Championship and The Austin Food and Wine Festival. College sports fans likely know Austin as the home of the University of Texas. The Longhorns have a dedicated local following and their facilities are world class. The beautiful weather makes Austin one of the top outdoor activity destinations in America. Some ideas for outdoor activities are kayaking, biking, hiking, paddle boarding, running and almost any other sporting activity you can do under the sun. San Antonio Commonly referred to as the “Favorite City of Texans”, San Antonio has something to offer all of its visitors. It is the second largest city in Texas (1,409,019) and the seventh largest in America. Over 26 million people visit this birthplace of chili every year. San Antonio is rich in history and has landmarks such as The Alamo, The River Walk, Spanish Missions, The Guenther House, and The King William Historical District. If you're looking for more action San Antonio will not disappoint with activities like Spurs basketball, Stock Show and Rodeo, Six Flags Fiesta Texas, F1 Racing, Schlitterbahn Waterpark, SeaWorld, and Morgan’s Wonderland. San Antonio has a multitude of other fun activities including over 50 golf courses, over 110 miles of hiking and biking trails, numerous parks and wilderness preserves. Bandera Also known as “The Cowboy Capital of the World”, Bandera offers its visitors an authentic glimpse into the history of Texas. The streets are still filled with people riding horses and you'll regularly find horses tied to hitching posts in town. Dude ranches are common place and offer visitors the chance to ride and explore the beautiful landscape and wildlife on the local network of trails. 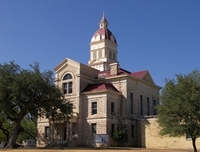 Bandera is also home to a series of museums such as The American Legion Post 157, Bandera Music History Hall of Fame, Frontier Times Museum and The Lone Star Motorcycle Museum. Other Activities in Bandera include golf, history tour, tubing, shopping and hunting. An authentic Texas frontier experience is waiting for you in Bandera. Fredericksburg Founded in 1846 by German immigrants, the town was named in honor of Prince Frederick of Prussia. Fredericksburg was designed to replicate German villages along the Rhine River. In fact, until the 1970’s, German was the most common language spoken in town. 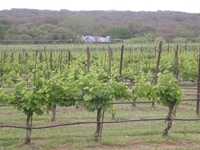 Currently, Fredericksburg is an entertaining and educational tourist attraction. The town features many activities including over 150 boutiques, Texas Rangers Heritage Center, Pedernales Brewing Company, Fredericksburg Theater Company and much more. Also known as the “Peach Capital of Texas” Fredericksburg is a town built around agriculture. They are a hub for agricultural tourism with attractions such as Lady Bird Johnson Wildflower Center, Wildseed Farms, Farmers Market, Herb Farm and Vineyards. Let the “Bed and Breakfast Capital of the World” give you a unique Hill Country Experience. The Texas Hill Country is one of the most interesting and diverse areas in Texas and the entire southern United States. There are so many activities that one trip may not be enough to get the full scope of the area. Saddle up with your family and friends and head to the Texas Hill Country, it will be an experience you'll never forget.